We're trying something new for Movember this year at DCS and you're coming along for the ride. In lieu of individual fundraising, we're taking $5 for every sticker order we receive in the month of November and donating it to the cause. 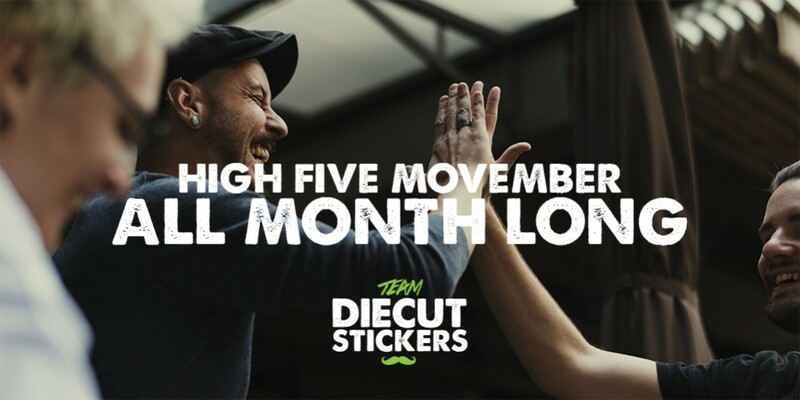 DCS is committed to supporting Movember in their diligent awareness campaigns centered around health topics that often get brushed aside or kept quiet and the time is now to remind our friends, family members, and colleagues that help & support is all around them. Stay tuned for weekly updates on the grand total and thank you in advance to everyone placing orders this month benefiting Movember.